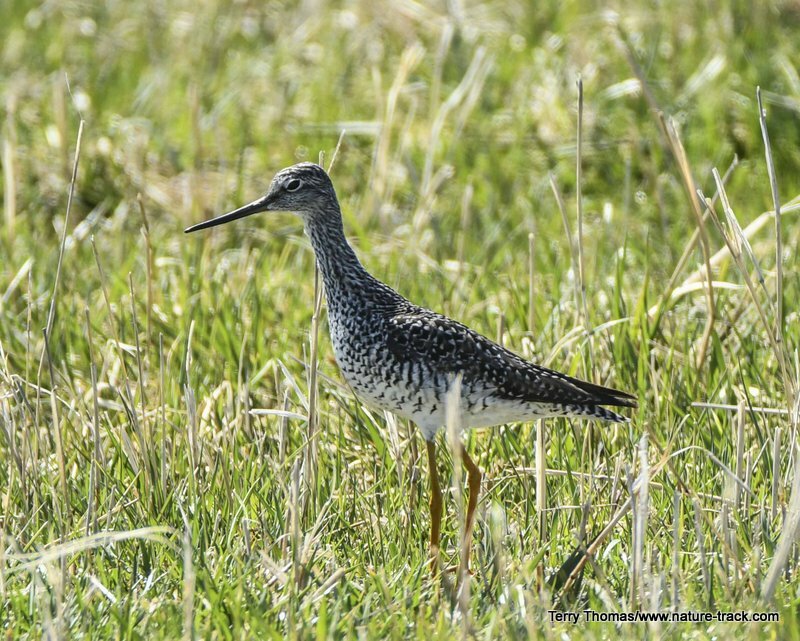 Shorebirds like this Lesser Yellowlegs photographed near American Falls Reservoir last week, are migrating and now is the time to see many species that will only stop by for a short while on their way to northern breeding grounds. A springtime marsh is really a wonder to see. There may be hundreds of bird species that are drawn to the marshes and surrounding habitats as they migrate to more northerly climes. Marshes now occupy a far smaller footprint than historically, making those that still exist even more valuable. There are species that specialize in all aspects of marsh habitat. Some prefer the deeper open water. Other species focus on water that is a foot or so deep. Still others, collectively called shorebirds, prefer the margins where water and land meet. The largest group of shorebirds is the sandpipers (family Scolopacidae), which includes birds with sandpiper in their name as well as curlews, snipes, stints, phalaropes, whimbrels, godwits, yellowlegs and more. As a group, sandpipers are quite variable. In general, they have long narrow wings and understated coloration, often a mix of black, brown, gray and white during the non-breeding season, but beyond that, body design isn’t a good way to identify this group. In size, they range from the tiny least sandpiper, the smallest of all shorebirds, which may weigh only an ounce, to North America’s largest shorebird, the long-billed curlew, which may weigh two pounds. Shorebird bills are longer than those of most similar-sized birds but even these are highly variable in length within the Scolopacidae family, and may be straight or curved. The long-billed curlew has the champion bill, which may exceed six inches, while some others have bills that do not exceed their head length with lots of variability in-between. Avocets, stilts, plovers (including killdeer), oystercatchers and more are also shorebirds, but not of the sandpiper family. Worldwide, there are about 180 recognized species of shorebirds and North America claims about 60 species. Many shorebirds are notorious for being hard to identify to the species level. However, recognizing that they are shorebirds at all isn’t quite so difficult if you pay attention to behavior. Most shorebirds are gregarious, meaning that they seek the company of their species and often run in mixed flocks that number from dozens to thousands. They are seldom seen foraging in water more than an inch or two deep and are common on recently drained mudflats. Almost all are carnivores, feeding on worms, crustaceans, and other invertebrates. Shorebirds are most often very active feeders, relentlessly chasing up and down the mud or shallow water probing for food. Shorebirds are world-class travelers with about 70 species that migrate from the top of the world to the bottom of South America and back each year. Many species may make only a stop or two to refuel during this trip, flying as far as 7,000 miles non-stop. Now is the time to catch shorebirds in migration. Some of the best places to go include the Great Salt Lake which supports between 2 and 5 million shorebirds and the Bear River Refuge, which is part of the Great Salt Lake, albeit freshwater. 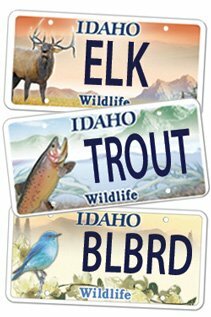 American Falls Reservoir is a top place in Idaho (and may even be better in the fall), and Market Lake, Mud Lake and Sand Creek WMAs as well as Camas National Wildlife Refuge are all great places to see migrating as well as nesting shorebirds. As a whole, shorebirds are declining rapidly due largely to loss of habitat. 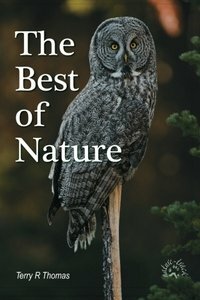 Any chance we get to support legislation and programs that protect or enhance habitat is only in our own best interest.